Employees at Condé Nast, the company known as much for the extravagant parties it throws as for the colorful magazines it publishes, witnessed the return of McKinsey consultants to their Times Square headquarters this week. Adweek reports that this is McKinsey's third stint at the publisher, the first two resulting in "magazine closings, layoffs and deep budget cuts"—difficult cost-cutting measures that introduced a "culture of paranoia" into the ranks at Condé Nast. "That whole feeling of working here and it being cushy and other people loving it and being jealous? That’s kind of gone now," one Condé Nast staffer told the New York Observer of the post-McKinsey world. Gone are the days of "mani-pedis for clients, the flower deliveries, the sodas in the fridge," the Observer attests. Damn you, McKinsey—the mani-pedis? Is nothing sacred? In 2009, it was widely reported that McKinsey consultants oversaw the death of four magazines—Gourmet, Cookie, Modern Bride, and Elegant Bride—in what the Gothamist referred to as a "magazine massacre." Worse yet (I have to say, those do sound like some pretty lame magazines), McKinsey implemented deep budget cuts (at least 25 percent spending cuts across the board), laid off workers by the handful, and targeted what the New York Times and the described as Condé Nast's "culture of spending." Other magazines were shuttered soon after. Ultimately, McKinsey's legacy at Condé Nast assumed the mantle of ruthless cost-cutter. So, you can't really blame the CN employees for fearing the worst as round three kicks in this week. While McKinsey is keeping mum on the engagement (sticking to its policy of secrecy), the publisher has been keen to deflect attention and reassure the survivors of the consultancy's last slash-and-burn offensive. "This is not a companywide effort or project," a spokeswoman said. "McKinsey is working with a single department with an eye towards growth, not cost-cutting or reduction." You also can't blame the McKinsey consultants for making the recommendations that they did. 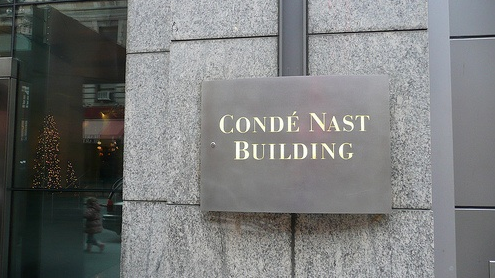 Condé Nast earns the vast majority of its revenue from advertising, an industry which got properly hammered in the recession. Furthermore, the publisher's "culture of spending" (the Observer called it "the Gilded Age of Condé Nast") ran counterintuitive to any best business practice in a tough economic climate—lavish Vogue parties are probably ridiculously fun, but they aren't generating any revenue. Now, Adweek suggests that Condé Nast is seeking to reinforce its relative independence from ad revenue by focusing more on the "consumer side" of business. One new revenue stream that the publisher and McKinsey are developing in tandem is digital content, with tablet magazines seen as the key to generating revenue and attracting readership in the modern world.